Gorgeous Monaco plan that is perfect in so many ways. Enter the home past the stone courtyard and wrought iron gate. This area is a great space to enjoy your morning coffee or say hello to the neighbors. Inside you'll find beautiful tile work throughout the entire home. Stunning white cabinets, beautiful backsplash and quartz countertops give the kitchen a custom feel. The den offers a built in bookcase and desk area. Step out back and you'll find stone pavers extended off the back patio. Enjoy the gas fireplace during the cooler months. 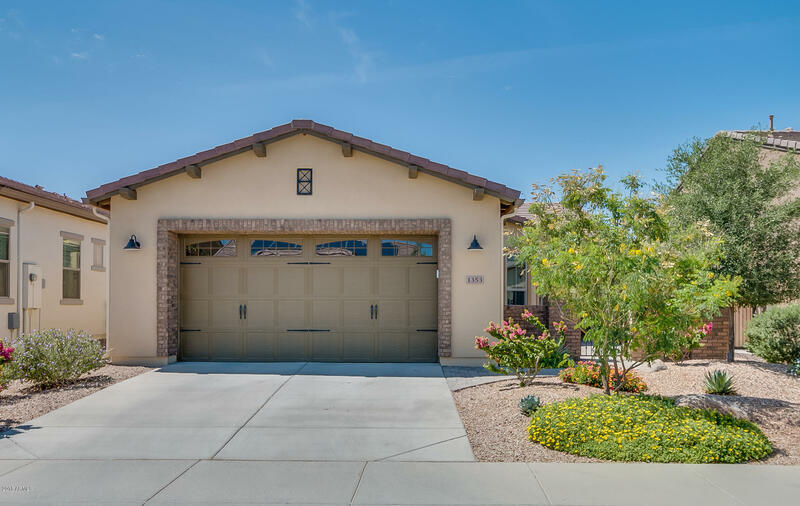 This home is a short walk to community pools, spa and restaurants. Start enjoying the resort lifestyle today at Encanterra!